Mid – City Carriages, Inc. was founded by Kim Charbonnet and her mother Simone Charbonnet in 1990. 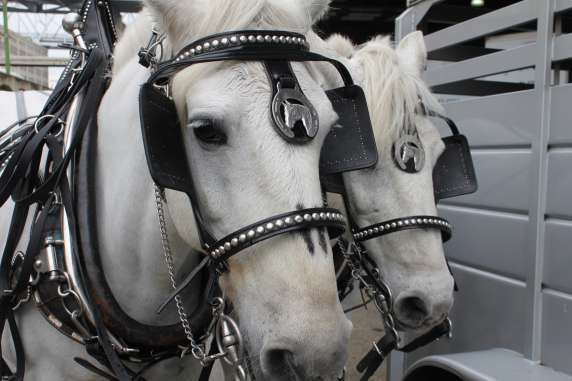 With a stable of over 40 horses and mules the company continually operates 14 carriages in the French Quarter. 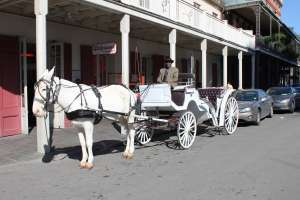 The additional carriages are used for tours and private event rentals in New Orleans and surrounding areas. 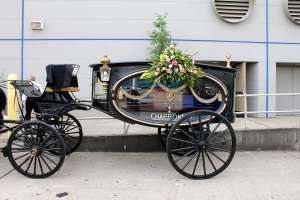 The largest fleet of specialty carriages include the military and dignity funeral caisson, wedding carriage, and vintage carriages, vintage horse drawn hearse, trolleys, surrey, vis-a-vis, and wagon round out the full assortment of carriages. 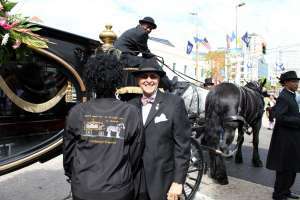 Full service historic Jazz Funerals are a signature event for Charbonnet Funeral Home with a variety of carriages in addition to jazz bands and funeral coordination funerals become a true remembrance service in the tradition of New Orleans culture and history. 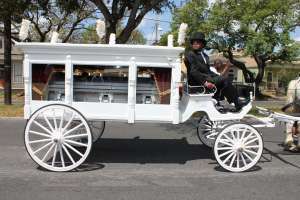 Mid- City Carriages offers rentals to other funeral homes in New Orleans and surrounding areas in creating a traditional jazz funeral. Rentals include the movie industry, tourist reenactments and educational events. Contact Mid-City Carriages for additional information 504 581 4415.